Wall-to-Wall Equipment: Who's the latest top player testing Honma? 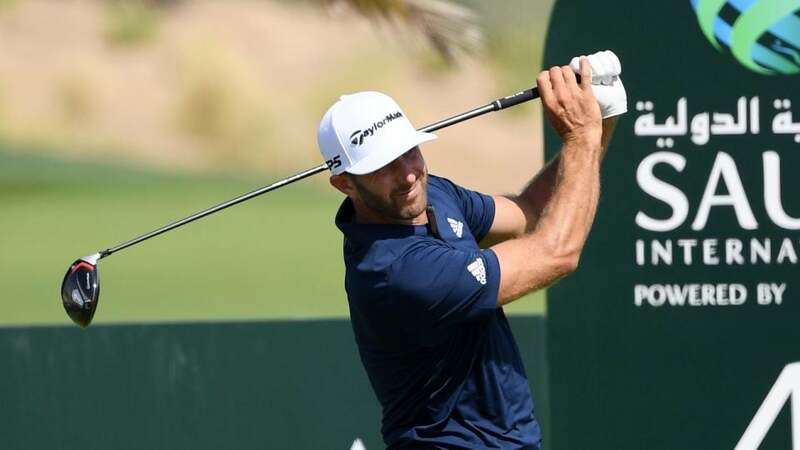 Dustin Johnson switched to TaylorMade M6 in Saudi Arabia. There's something about a new driver that brings out the best in Dustin Johnson. For the second straight season, DJ changed it up with the driver and ended the week in the winner's circle. This time around, it was switching from TaylorMade's M5 to the more forgiving M6 in Saudi Arabia. According to TaylorMade representatives, Johnson asked to conduct shaft testing in an effort to get his ball speed up to 185 miles per hour. Following an hour-long session on an indoor simulator, Johnson left with four drivers in the bag (two M5 and two M6). Working the next day with European rep Adrian Rietveld, Johnson was able to get the four drivers down to two before ultimately settling on a 10.5-degree M6 (Fujikura Speeder 661 2.0 X shaft) that provided the ball speed and launch characteristics he required. "I'm driving it really good," Johnson said. "I've got a lot of confidence in it." Based on the way he played in the Middle East, it's difficult to disagree with DJ's driver assessment. It was a week of significant changes for Bubba Watson, who added Ping's G410 Plus driver, an arm-lock PLD Anser Tri-Sole putter and yellow Titleist Pro V1x ball. Out of the three changes, the G410 Plus provided the biggest impact, as Watson led the field in strokes gained: off-the-tee with the 9-degree driver. Christian Pena, Ping's Tour rep, confirmed Watson saw a minor bump in ball speed with a very similar launch during testing, but what sold him on the driver was the drop in spin that allowed him to achieve a stronger ball flight. The cut spin he's able to produce came down roughly 200 RPMs, on average, which allows him to get more rollout on his tee shots. As for the drastic putter change, Watson credited Bryson DeChambeau with the switch to a 43-inch Ping PLD Anser Tri-Sole (365 grams) with a 17-inch JumboMax grip. "[Bryson's] been giving me some tips and so I tried that," Watson said of the putter change. "He texted me this morning, my alarm went off at five this morning, and I already had some texts from him. He's over in Saudi Arabia. So I told him as soon as he gets back I think he comes back to L.A., I need some more help. But yeah I'm trying it out. It locks that wrist in, so I like it. The only hard part is the lag putting. I had two 3-putts today just because of lag putting, trying to get that right, because it's a different feel." As opposed to locking the putter against the lead forearm, Watson chose to rest the grip against his left forearm. And for the first time, Watson opted to use the recently released yellow version of Titleist's Pro V1x in competition. It's unclear if the new ball is a permanent switch or just a one-week test run. Phil Mickelson wasted little time getting acclimated to Callaway's Epic Flash metalwoods. His 2019 debut at the Desert Classic came with the company's Rogue Sub Zero driver and fairway wood. However, when he arrived at the Waste Management Phoenix Open, he was sporting an Epic Flash Sub Zero driver with the triple-diamond prototype stamp on the head — the Tour-only version is used by other Callaway staffers — and a non-adjustable version of the Sub Zero fairway wood. Mickelson tested both clubs extensively during the early portion of the week and was particularly impressed with the ball speed numbers he was seeing on the range. UST Mamiya's iRod shaft was also spotted in his X-Forged UT utility iron. Outside of the TaylorMade TP5x ball, Rickie Fowler's equipment setup remained the same following his first Tour start of 2019 at the Farmers Insurance Open — with one exception. Fowler was one of a handful of players in the field who swapped their usual staff bag for the lighter stand version. Fowler's Puma-Vessel collaboration was limited to only 10 bags, while Titleist and TaylorMade unveiled versions — TaylorMade's all-green FlexTech was specially made for the "The Greenest Show on Grass" — that are currently available to consumers. As for Fowler, he reportedly plans to unveil other custom stand bags over the course of the season. If you're Joe Skovron, Fowler's caddie, it's impossible to complain about additional light loops in the future. Justin Rose remains the newest member of Honma's Tour staff, but based on photos Paul Casey posted last week on Instagram, it appears he's giving the clubs a very hard look. Casey snapped a photo of a staff bag full of Honma clubs (no name is visible on the bag) and some impressive launch monitor numbers with the driver. Casey plans to tee it up this week at Pebble Beach, so it's possible we could get some clarification on his status soon enough. Gary Woodland's current equipment deal requires him to play 10 Wilson clubs. Before Phoenix, his setup consisted of the company's Staff Model Blades; but the number increased by two with the addition of Wilson Staff D7 fairway woods (3- and 5-wood) featuring custom "Made for Gary Woodland" Accra shafts. Woodland tested the clubs early in the week and saw enough benefits from both clubs to add them to the current setup. Compared to many of today's adjustable-hosel fairway woods, Woodland's D7 has an old-school feel with a bonded hosel and no moveable weight technology. Haotong Li needed a 3-wood with a hotter flight in Abu Dhabi, which led him to use TaylorMade's low-spin Rocket M5 to achieve a penetrating flight with a few extra yards. But with the layout in Saudi Arabia providing a different challenge, Li swapped M5 for M6, preferring the spin increase for a higher launch with less distance. Li also made the weight 10 grams lighter in the shaft. And while they didn't go in the bag this week, Li requested a set of P760 irons to test during his downtime. For Li, the goal is to clean up his irons — he currently plays an M3 3-iron and P750 — at some point and move into one specific head model. Quick-Hitters: Dustin Johnson returned to the TaylorMade Spider Tour putter he used for much of last season. ... In what is officially a full-blown trend on the PGA Tour, Titleist won the driver count for the fifth consecutive week. ... Cameron Champ lengthened his Fujikura Pro White 63X shaft by a quarter-of-an-inch and reduced the tipping to one-inch to generate a higher launch and more spin with his Ping G410 Plus driver. ... Rickie Fowler won in just his second start with TaylorMade's TP5x golf ball. ... Check out the Scotty Cameron T-5.5 putter in Justin Thomas' bag.